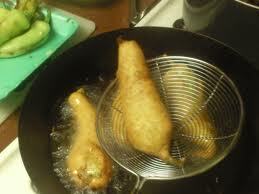 It is very delicious Indian snack especially southern people like very much . 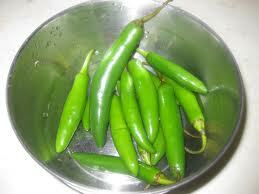 Caution: Green chilli is should be selected such that it is not too spicy . 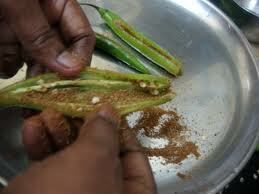 1) Slit the mirchi along it's length and remove seeds. 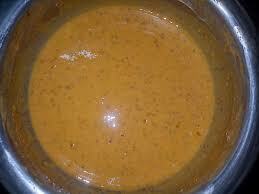 6) Heat oil in a bowl deep fry the prepared mirchi . Finally open the mirchi along it's earlier cut fill it with chopped onion and enjoy hot .....!! !